Cabernet Sauvignon is reputed to be the most popular wine in the world; the Cabernet Hills Wine and Bar Cabinet by Howard Miller is the perfect place to keep it. 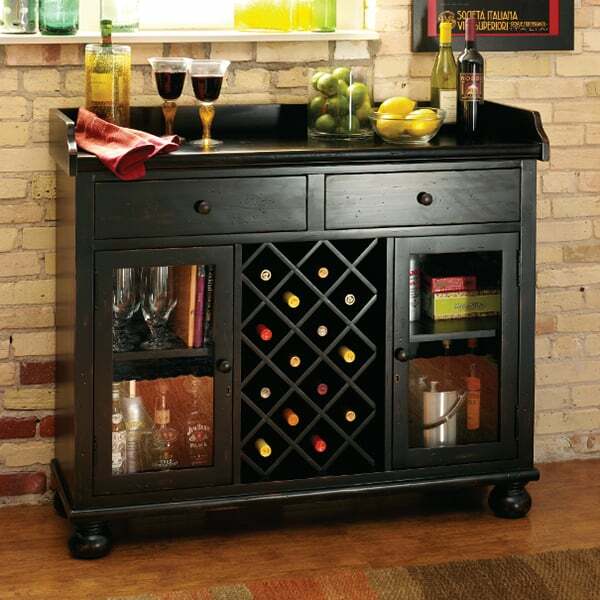 This lovely wine and bar cabinet is finished in a heavily distressed Worn Black finish and features seedy glass. It boasts an ornamental apron which surrounds the serving area on three sides. A center wine rack holds up to 18 bottles of your favorite beverage, and the adjustable shelves can hold stemware, bartending guides or anything else you want to keep handy. 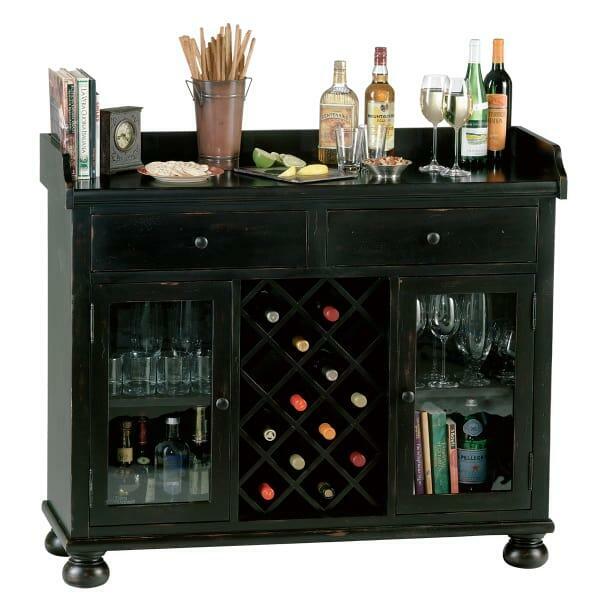 The Cabernet Hills Wine and Bar Cabinet by Howard Miller; just like its namesake it is delicieux!